Vista Higher Learning is a leader in the foreign language textbook space, selling French, German, Spanish, and Italian textbooks to both universities and secondary schools. Vista Higher Learning has a unique combination of textbook and online software as a service in order to give students and teachers the best of both worlds. 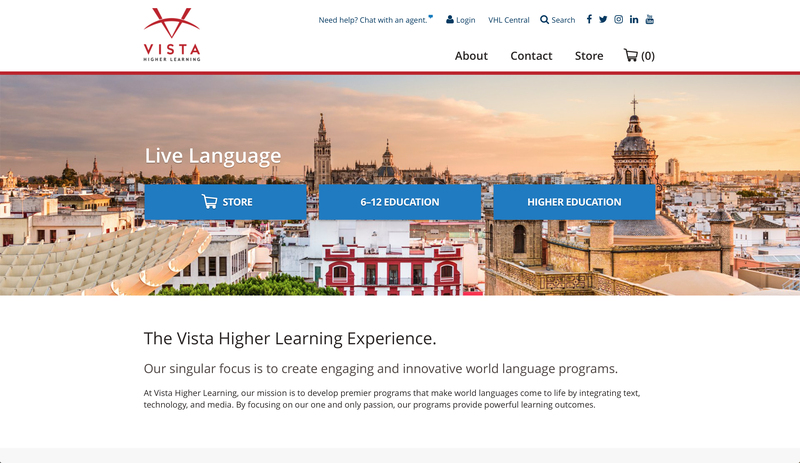 The challenge for this project was that Vista Higher Learning needed to redesign their entire website to better represent their brand as well as upgrade to Magento 2. 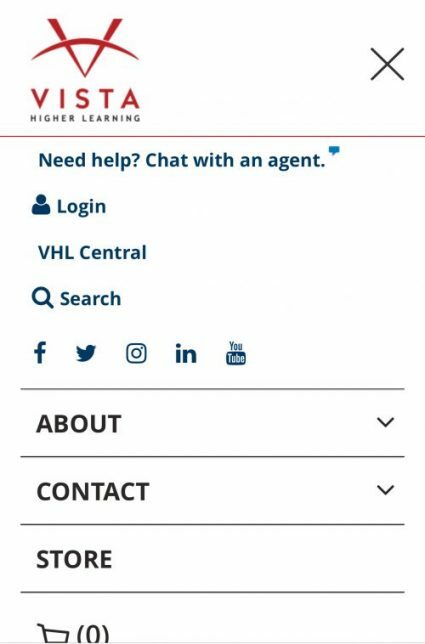 Additionally the site was very complex and had major integrations as well as a large base of multisite websites for their individual university sites. Trellis implemented a highly customized Magento 2 Enterprise Edition site on Amazon Web Services to maximize site speed and performance. We built a custom package finder capability that eliminated the multisite need, improving their operations and integrations with back office systems. We integrated with Salesforce, Microsoft Dynamics, and their Software as a Service with single sign on. We also redesigned the site to better fit their growing brand and position as a leader in the market.